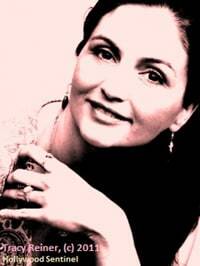 Tracy Reiner, Photo Credit: Eugene Pinkowski, 2013, all world rights reserved, with kind courtesy of Ms. Reiner. I am speaking here today with the legendary Tracy Reiner; writer, producer, actress, and member of one of the most lauded families in Hollywood. 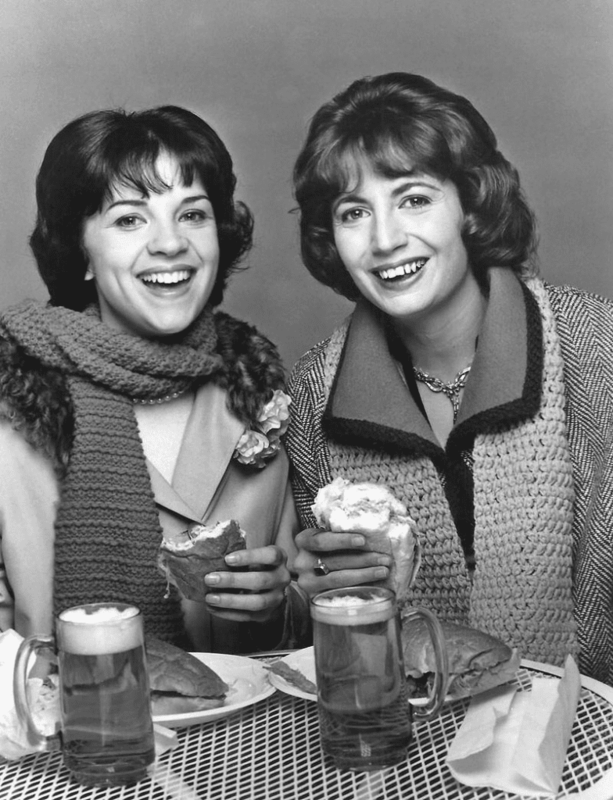 Daughter of the iconic producer and actress Penny Marshall (actress from “Laverne and Shirley” fame, and the first major female film director of our time; “A League of Their Own,” “Big,” etc. ), stepdaughter of the iconic writer, producer, director, and political activist Rob Reiner (creator of the masterful “Stand By Me,” “When Harry Met Sally,” “The Princess Bride,” etc. ), niece of the iconic writer, producer, director Gary Marshall (creator of “Happy Days,” “The Lucy Show,” “Laverne and Shirley,” “Mork & Mindy,” and “Pretty Woman” among more; Rob Reiner sadly passed on two years ago in 2016). Tracy Reiner is a talent in her own right, having appeared in over fifty film and television shows including “Valentine’s Day,” “The Princess Diaries,” “The Princess Diaries 2-Royal Engagement,” “Riding in Cars with Boys,” “Apollo 13,” “Pretty Woman,” “Frankie and Johnny,” “When Harry Met Sally,” “Beaches,” “Die Hard,” “Big,” “The Sure Thing,” “The Flamingo Kid,” and her most known role in the T.V. show and film of “A League of Their Own” as Betty (Spaghetti) Horn among many more. If there was ever Hollywood royalty, Tracy Reiner would be it. But Tracy Reiner the gifted actress is not even half as fascinating to me as Tracy Reiner the human being. If her family broke records (and they did), Tracy Reiner broke molds and shattered stereotypes. Fiercely confident, fast (I never think about calling her unless I am one hundred percent alert or I will be l-o-s-t), fascinating (she has some of the best Hollywood stories ever), and brilliant, this incredible woman is not merely a kid raised by the Hollywood greats, she is greatness in her own right. Her knowledge about Hollywood, politics, religion, and things often hidden are quite mind-blowing. Talking with Tracy Reiner is not merely a conversation, it is an experience. She is a quite rare, amazing human being, and it is an honor to bring you here my interview with this extraordinary woman, who was recently elected as President of the historic Hollywood Woman’s Club. The Hollywood Sentinel: Tracy, you obviously were born in to the entertainment industry. Can you take us back to the beginning please and tell us where you started out? Tracy Reiner: I started out in a house in New Mexico, not born in to show business, but born in to government and technology. My family in New Mexico all worked at the government facilities; Los Alamos, Sandia National Labs, Kurtland Air Force Base… so I came here (to Los Angeles) when I was eight, right when my Mom (Penny Marshall) and Rob (Reiner) were becoming very successful because my Dad thought it might be a better set up for school, he thought I might have more possibilities here. My parents had me when they were nineteen–so there was a time where my grandparents had custody of me–so before I moved to Los Angeles I spent time between New York and New Mexico with each set of grandparents. I did advertising and dancing school in New York, and the labs in New Mexico. One grandmother was the dancing school teacher for the Junior Rockettes (the famous dance troupe of showgirls), until she separated and did her own– The Marshallettes, and so she and my mother and my aunt and all the other neighborhood mothers were recruited to dancing school and costumes. And my grandmother (on mothers’ side) had a photographic memory, so she would go to Broadway plays and she would memorize music, and she would come back and play it on the piano, and she would teach everyone to dance. The other grandmother worked and lived at the labs. Their badges all say “resident.” My dads report cards were from the school on site. His mom did contracting and also worked in the officers lounge at night at the bases. One called the Coronado Room at Sandia. It’s all “shh”and, “what do you mean?” So I don’t ask. Tracy Reiner: And everything was so huge, that everything was a party! And the times that I would visit here was always a holiday, so it was just a dreamland to me. There was a lot more television shows (in L.A.), and my Mom was sort of a junk-food freak and she would get like fritos and sodas for breakfast and I would always go home completely sick, but I thought it was the greatest time here, so when I finally moved here, there was a whole new world here that I was never asked to participate in. Like, I didn’t know the personality rules that were going to show up. I remember going to the Reiner’s house, and they happened to have the Landau’s and Brooks over, Mel Brooks (actor, singer, comic legend) and Martin Landau (Oscar winning actor who was good friends with James Dean) and (his wife) Barbara Bain (fashion model, dancer, actress – Mission Impossible) and all their kids, and I had never seen charades. And I think they knew that I had never seen charades. So if you can imagine these giant bravado personalities playing this very comfortable family game of charades and I had no idea what they were doing, and I was mortified… terrified it was so scary! But they all laughed over the years, because I didn’t know what ‘Jewish’ was (as a little girl), I didn’t know so many things, and they watched me assimilate. And I am sort of a good example of how someone can learn to do things. Some of it is really coaching, and this game prepared me for things really. Tracy Reiner: Because my next field is entertainment, it’s not advertised, like casting directors- there aren’t jobs listed (for them much) really- it’s a word of mouth thing, you have to learn, there’s no real training, you can sort of think you are going to learn at school and acting classes and that, but they don’t tell you that (in Hollywood), ninety nine percent of your performance is based on your behavior and your comfort level. And they tell you that it’s an art form- and it is in a way- but what it comes down to is your ability to be comfortable in a room full of people and talk. So for me it was a big overall lesson. I had to learn how to talk with them for real, and then I could learn how to talk with simulated text in a theatre sense. So being big and bravado isn’t always an innate thing. I was shy. When I was thirteen, I didn’t talk. Tracy Reiner: Yeah, I think it drove my mom nuts. I cried a lot. So Every acting class helped. Uta Hagen, Stella Adler, Viola Spolin, The Groundlings– my poor Mom! She was young and wanted to be relevant with all these cool people, and I was really clingy… so for me it was all big life lessons. I wasn’t here to have a business relationship with any of the people. I know I was here to live and grow up maybe know people personally, but I was just growing up . Even if John Belushi was the one saying how was school in Jr High, he was really asking, and we were really eating dinner. The Hollywood Sentinel: Wow. When you were going to school, did you go to a private school? Tracy Reiner: I went to both an alternative school called SY Jackson in New Mexico, out here (in Los Angeles) I went to Colfax Avenue School, and then I went to Portola Junior High, and then for high school I went to two different high schools; Cal Prep which was a lot of industry kids. I went to school with the Jackson kids, Stevie wonder’s sister, a bunch of different people who had an interesting home life, and then I went to the Lycée Français de Los Angeles, the big international French school, on Overland. (other famous alums include Molly Ringwald, Claire Danes, Tatum O’Neil, and Jodie Foster among others). The Hollywood Sentinel: Cool. Do you speak French? Tracy Reiner: I do. (Graduates of the school are required to master the French language). I speak French and Italian pretty well, French I was taught, Italian I learned. The Hollywood Sentinel-Bruce Edwin: That’s great, I think French is such a beautiful language, Italian too. There is such great cinema out of both of those areas. So you got a degree in what? Tracy Reiner: They didn’t have a major for it at the time, but it was in ‘The History of Storytelling.’ I was given some great advice by my stepfather and my mom’s boyfriend (Rob Reiner) when I was about 18, and her mom’s boyfriend was Art Garfunkel (actor, singer, and part duo of the famed group Simon and Garfunkel). I ran away from home with Francis Coppola’s son to write a story about Love. Tracy Reiner: Yeah, they weren’t thrilled but it was the best time ever and I am beyond fortunate to have had so many people share times in my life that are sometimes so amazing it’s better not to talk about it–somehow It lessens it . Hollywood Sentinel: That makes sense, I understand. 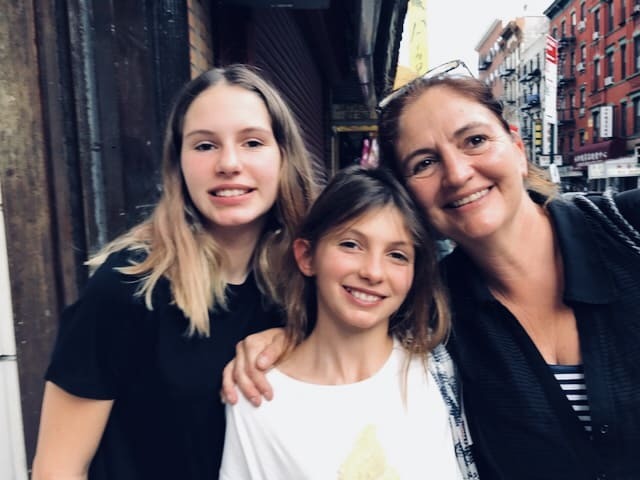 Tracy Reiner: I am so fortunate to have such an amazingly brave and passionate mother who let me become what ever I needed to be and even if she disagreed, she heard what I felt, and even when she was uncomfortable about it, she went along with it. Hollywood Sentinel: That’s so cool. You and your Mom and whole family are incredible to me. Tracy Reiner: And they sort of explained to me that one thing I needed to learn about this town, about L.A., is that it’s like a big typewriter, and before you go start simulating real life for a living, you need to go have a life. Hollywood Sentinel: I love that! Tracy Reiner: And because I grew up here, I went away to college, I went to Bennington, and then I went to the New School for Social Research in New York City, and I went to a bunch of different schools. The new school accepted my matriculation, they agreed that my idea of the history of storytelling was valid, and so they now have that as a major. Brown does too. The Hollywood Sentinel: That’s great! 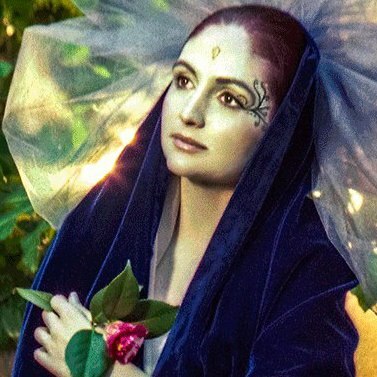 Tracy Reiner: And basically I studied everything; religion, history, storytelling, mythology, art history… I found the connection to all of them. I found they were all connected, and I thought OK, maybe I’ll be a writer when I’m older…and I worked at restaurants, and I worked at Saturday Night Live for three seasons, and I worked at Indochine, in New York (a famous restaurant frequented by many celebs). The Hollywood Sentinel: That’s great. When you were around that age- ten, eleven, twelve, thirteen- did kids know who you were? Were kids like, Oh that’s Tracy Reiner, she’s famous, or her parents are famous? Tracy Reiner: No one knew unless someone told them, if their parents told them, and then it was only when we would travel and go out to dinner that people would recognize us, and they would go, “We’re really sorry to interrupt, we really don’t mean to interrupt!” – but here we go! Left to Right; Bella, Viva, and Tracy Reiner. Courtesy of Ms. Reiner, for The Hollywood Sentinel, 2018, all world rights reserved. Hollywood Sentinel: (laughs) But you did interrupt! The Hollywood Sentinel: That’s so cool, and great you like it now. What did that life experience do for you as a writer, producer and director? Did you get a vision out of that childhood and early life that you wanted to convey that you think is unique? Tracy Reiner: What I learned was that most people are like, if you are going to be talented, someone is going to discover you, and that it’s a matter of somehow being seen, and that’s not true. What I in fact learned was that it’s not (the case), you have to be soooo in love with what you do that you really figure out what it is until you almost do not like it, and then come back and make us believe you really want to do it! And so I had to really take off, and be with my own friends. I traveled and worked in Europe first and we were all offered to work at fourteen and fifteen, at the Paramount casting office. I had six cousins, so there were seven of us, so what do you do with seven girls and a boy?! My grandmother had us all dancing at old folks homes, and on the Jerry Lewis Telethon, and we were called the Marshallettes, and we all started out dancing, and as we got older, my family was running all these shows at Paramount, they had three or four shows up, so they put us to work! Hollywood Sentinel: (laughs) That’s great! 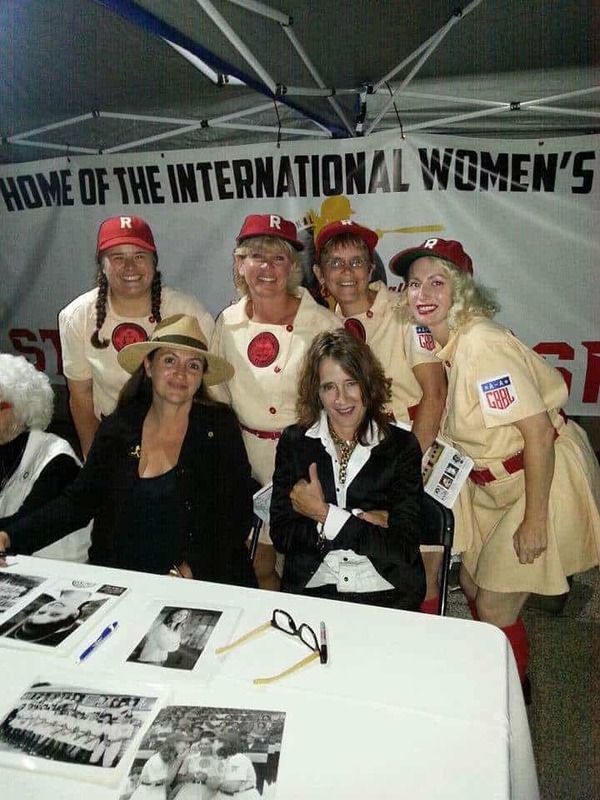 Tracy Reiner (seated at left) and other cast from ‘A League of Their Own.’ Photo courtesy of Ms. Reiner for The Hollywood Sentinel, all world rights reserved. Tracy Reiner: My family is from the Bronx, and both sides of my family are very, very work ethic based. And so we all knew how to work the cash register by the time we were sixteen, we all had regular jobs, we all had our SAG cards at fifteen so we could have insurance, and learn what that is, so right now, all seven us work in areas of production to this day. Tracy Reiner: Once you’re thirty five in this business, you had better have a couple of things you do because it’s not the most supportive industry. It tries to be, but it’s very hard to get a job with a level income. It’s not the fall that kills you, it’s the sudden stop! It’s not like. “Oh, I’m famous, and then I’m not famous,” it’s the point where everyone is searching for work right now, and so to be prepared for that in your field of interest, when you’re young (is important). Hollywood Sentinel: That’s so true. Tracy Reiner: I couldn’t imagine just acting, there are so many facets you have to know, it’s not just a tight little family any more now, it’s not just six thousand members of The Screen Actors Guild, there is a lot more in the industry itself because all of the technologies division, it’s now a huge corporate industry you know, so we were all sort of prepared to adapt to that change. Press, Media, Interview or Booking Requests of Tracy, contact Starpower Management at: 310-226-7176. ©2018 Hollywood Sentinel, and © 2011, The Hollywood Sentinel dot com, All rights reserved. No part of this content or audio is to be reproduced in whole or in part without direct written permission from the publisher. All world rights reserved.